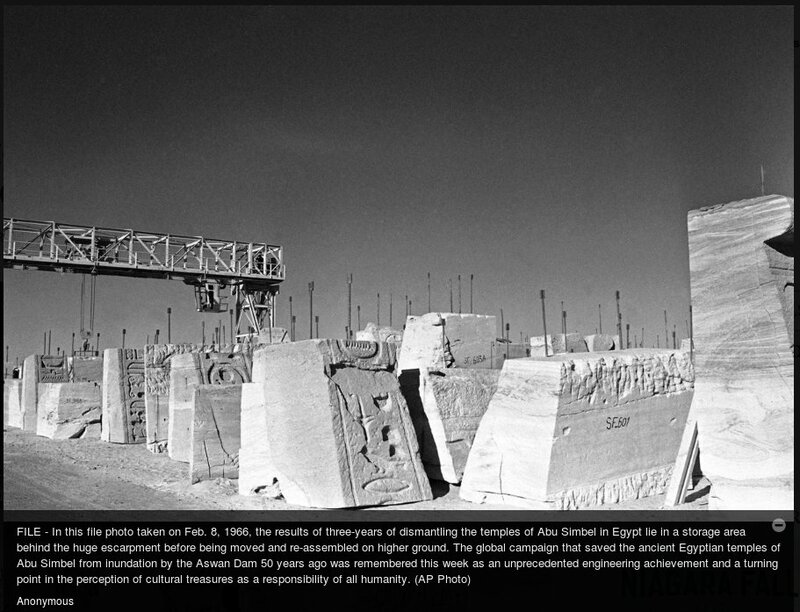 TURIN, Italy (AP) — Egyptologists and other experts gathered in Italy this week to celebrate a successful campaign to save ancient Egyptian temples from being submerged by a dam project 50 years ago and heard of cultural sites facing similar threats now. Recording and salvaging settlements and domestic artifacts received less emphasis, and many were lost underwater when the dam across the Nile River and its lake reservoir went in, she said. 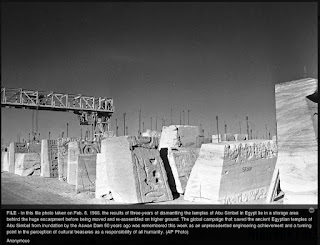 In 1960, the United Nations' cultural agency, UNESCO, issued an international appeal to save the temples of Amu Simbel, an ancient gateway to pharaonic Egypt, dedicated to Ramses II and his wife Nefertiti. More than 113 countries responded with funds or expertise. Marble cutters from Carrara in central Italy, engaged by an Italian construction company that now goes by the name Salini Impregilo, led the job of breaking down the imposing sandstone temples into 1,070 blocks. Expert marble cutters from Carrara engaged by the Italian construction firm Impregilo, today Salini Impregilo, led cutting of the imposing sandstone temples into 1,070 blocks. The blocks were subsequently moved to higher ground, and the temples reconstructed and positioned as ancient architects intended: allowing the sun to shine on the end wall two days each year. The blocks were subsequently moved to higher ground, and the temples were reconstructed and positioned as their ancient architects intended: allowing the sun to shine on the end wall two days each year.